Volendam has a graceful garden-theme décor. The public spaces and staterooms are all spacious and elegant with a stunning three-story atrium featuring a colossal sculpture. 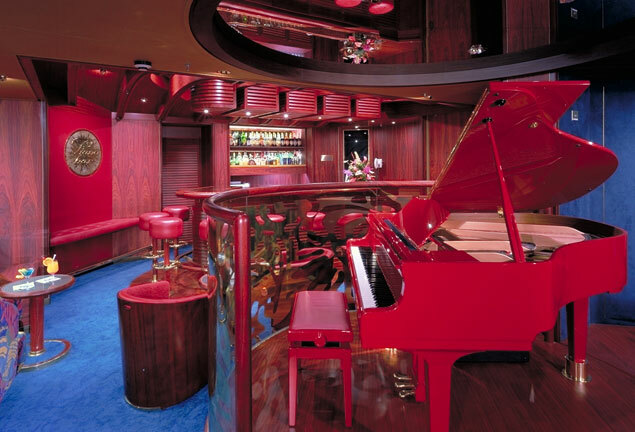 This ship has incredible artwork and antiques, filled with amenities and great things for everyone to enjoy! Book your trip on this remarkable ship today. Volendam will delight the most adventurous travelers. Relax poolside with your friends and family, or make a splash in the pool. The Greenhouse Spa and Salon is a great place to pamper yourself for the day - enjoy a hot stone massage, a facial, or get your hair and your nails done. 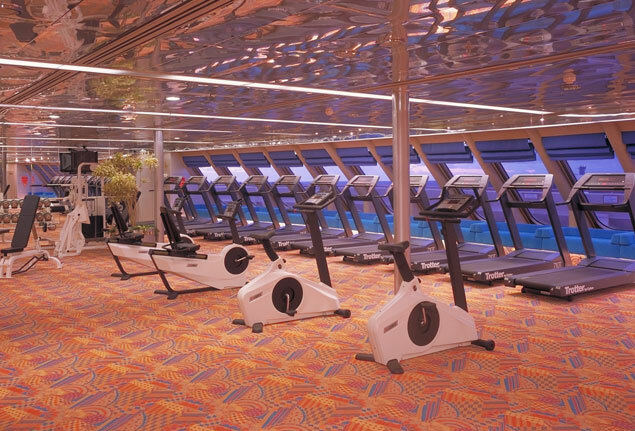 Work up a sweat at the onboard gym facilities - they feature a full gym, and even offer aerobics classes. 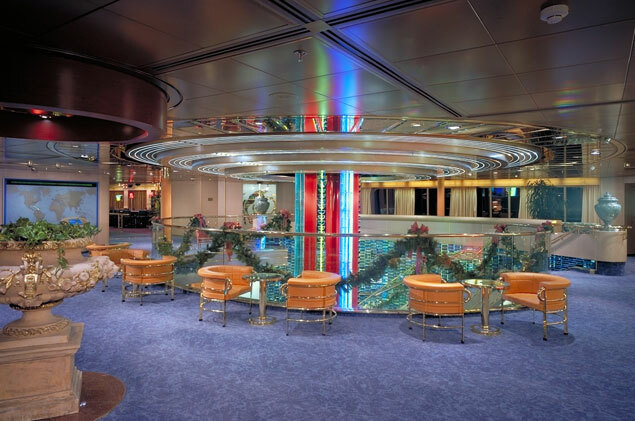 Try the Crow's Nest for a sweeping 270-degree view of the ship and its surroundings, or walk around the ship and take in the breathtaking collection of art and antiques. For the kids, there is Club HAL® - a dedicated youth area for kids aged 3-12 that has supervised activities, and also The Loft and The Oasis for the teenagers. Volendam offers a culinary experience unlike any other. Master chefs prepare five-course meals at the Rotterdam Dining Room, and menus include continental, vegetarian, and low-carb cuisines. The Lido Restaurant has fresh, cooked-to-order meals served in a relaxed atmosphere. The Pinnacle Grill is an intimate restaurant that serves fresh seafood dishes and premium beef, all paired with wines. 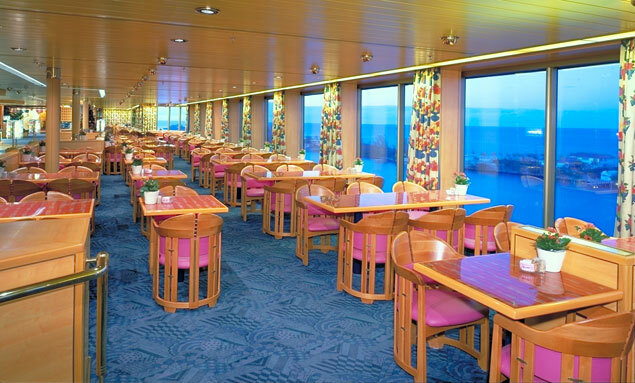 The ship also offers a complimentary, 24-hour room service. 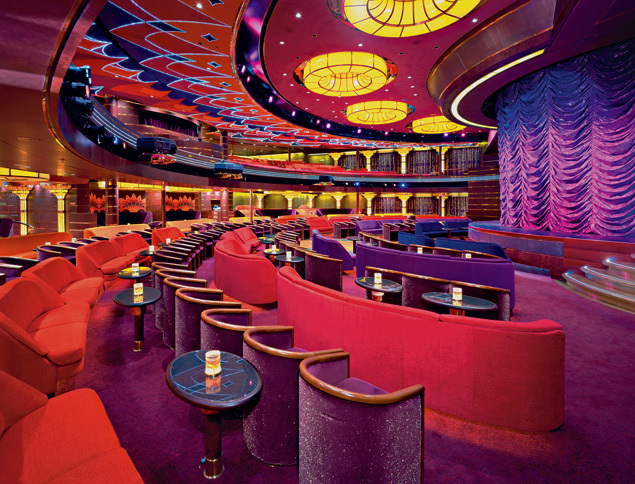 Onboard entertainment never stops - Volendam will keep you engaged late into the night. Head over to the Frans Hals Show Lounge, and enjoy live performances by vocalists, illusionists, comedians, dancers, and variety acts. The Crow's Nest is a hip nightclub with great music and a tremendous dance floor. 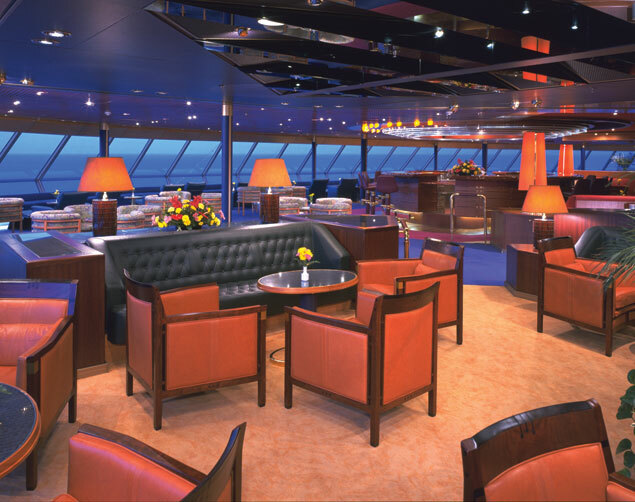 Check out the other great bars and lounges on this ship, where you can relax with a cocktail, or catch up with friends.